It was so much fun to write this that I decided to create a 10-Day Self-Care by Love Language Challenge email class as a gift for you so you can explore more. Click Here to Sign Up for the Self Care Challenge I hope you enjoy it! If you hate email but still want the challenge, I’ve got you covered too – you can pick up a PDF guide instead. Click here to get your copy of the guide. Are you familiar with the five love languages, outlined by Gary Chapman in his book of the same name? Chapman believes that each of us has a language through which we express and receive love. I believe we can use our love language for self-care as well. I see the love languages as a portal to get to know someone better and to speak to them in the language of their own heart. 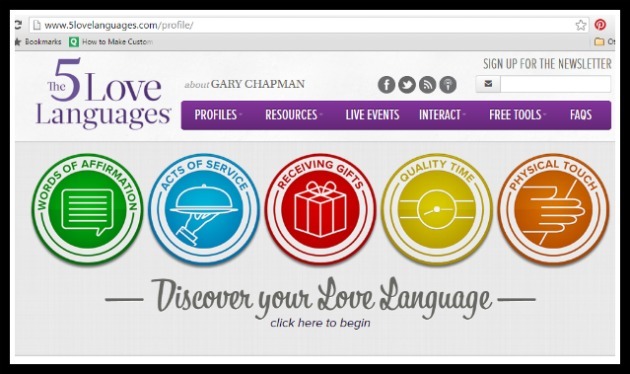 This is not only for romantic or family relationships either – I’ve used the love languages to help a client completely transform a situation at her workplace. This week I’m inviting you to experiment using your love language for self-care. A lot of us struggle with self-care sometimes – we want to do more, but it is hard to make the time for it – and often traditional ideas of self-care just don’t do much for us. A dear friend of mine loves taking long, luxurious baths. She feels grounded, calm, and rested after a long soak. Give me that same amount of time sitting silently in a botanic garden, and by the end I’m grounded, calm, and rested. Since none of us have excess hours just waiting to be used for self-care, we want to supercharge it whenever possible, and focus on activities that give us the highest yield for our time and effort invested. 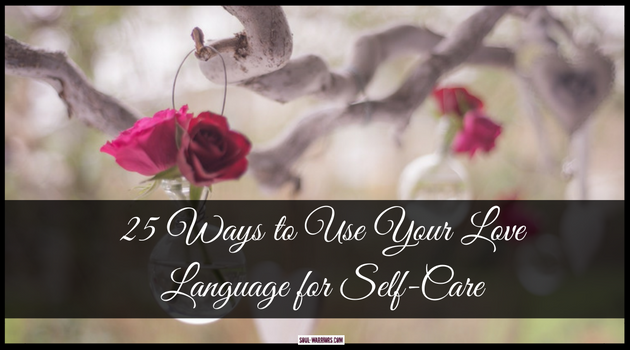 So how to use your love language for self-care? It’s pretty easy – first, determine what your love language is, then try a self-care activity that uses that language. I’m guessing you are going to have the best answer for your own love language (and I would love your feedback in the comments section on what works for you.) In case you feel stuck or want to try out ideas to see what fits, I’ve listed out five ideas per love language that you can try out. There is a free quiz (with email signup) at 5lovelanguages.com. You can also skip that and download the PDF version of the quiz and score it yourself. 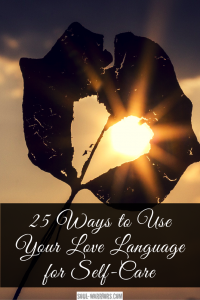 You can also check out my post on the love languages and use the process outlined there to determine your primary and secondary love languages. Click Here to Sign Up for the Self Care Challenge Or you can pick up a PDF guide instead. Click here to get your copy of the guide. Bake something delicious for Sunday brunch. Try out a cooking service. 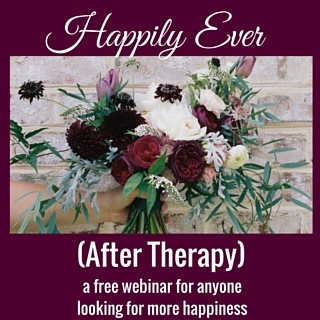 Eliminate tolerations from your home & schedule. Write yourself a love letter. Write affirmations on post-its and place them throughout your home. Keep an appreciation journal of your best qualities. Give yourself a foot massage. Wrap up in a soft blanket. Budget for small rewards just for fun. Sign up for a monthly gift box subscription that fits your budget. Gift yourself with a class on something you have always wanted to learn. If you have additional ideas for using your love language for self-care, please leave a comment and share them with us – we can all be inspired by each other. Don’t forget to check out the free 10-Day Self-Care by Love Language Challenge email class! Or you can pick up a PDF guide instead. Click here to get your copy of the guide.